and is being held captive aboard the S.H.I.E.L.D. team's plane ("The Bus"). but he is unaware that the superpowered Deathlok is also aboard the plan. 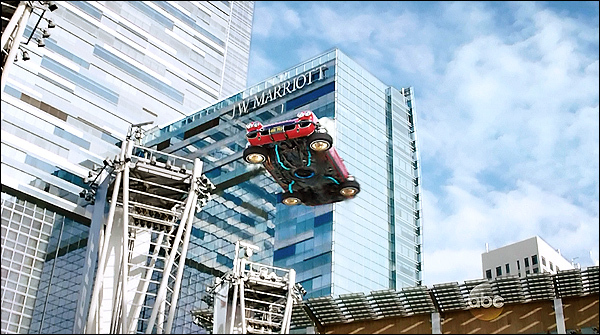 flying car to malfunction, while they are plunging through the air to their likely deaths. 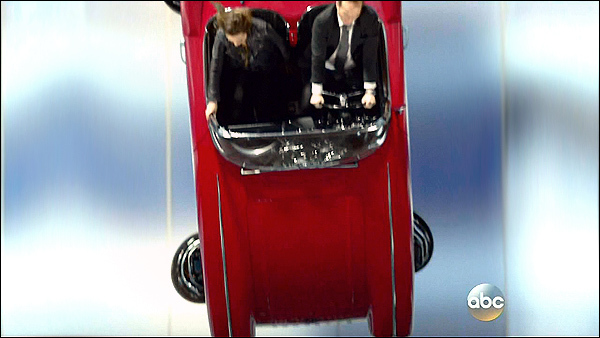 Coulson tries to start up the car, but has only limited success. near the ground, some very real L.A. scenery becomes visible. L.A. Live complex, at 900 W. Olympic Blvd, in downtown Los Angeles. Here is a Google StreetView of the tower. A different view of the same skyscraper is seen below. 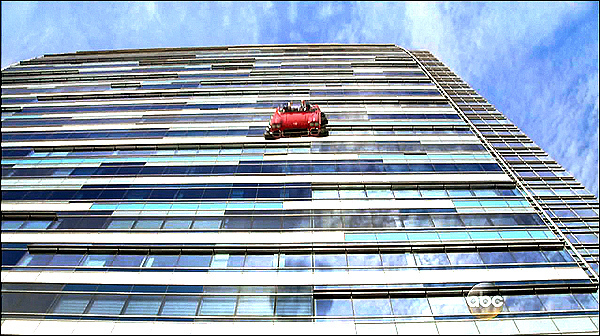 As Coulson regains a little control over 'Lola', the car's descent slows. 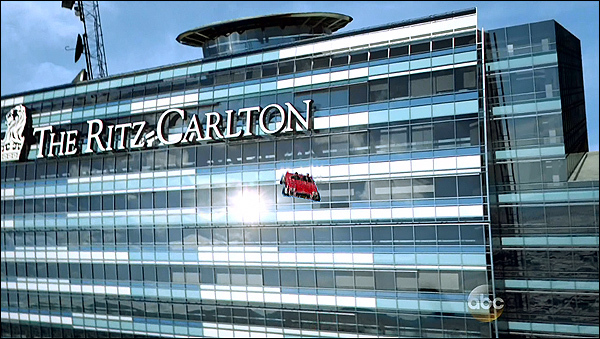 that houses the more expensive Ritz-Carlton. a nonplussed valet asks him for a $20 parking fee. across the street from the Staples Center. Here is a Google StreetView of the Nokia Plaza.